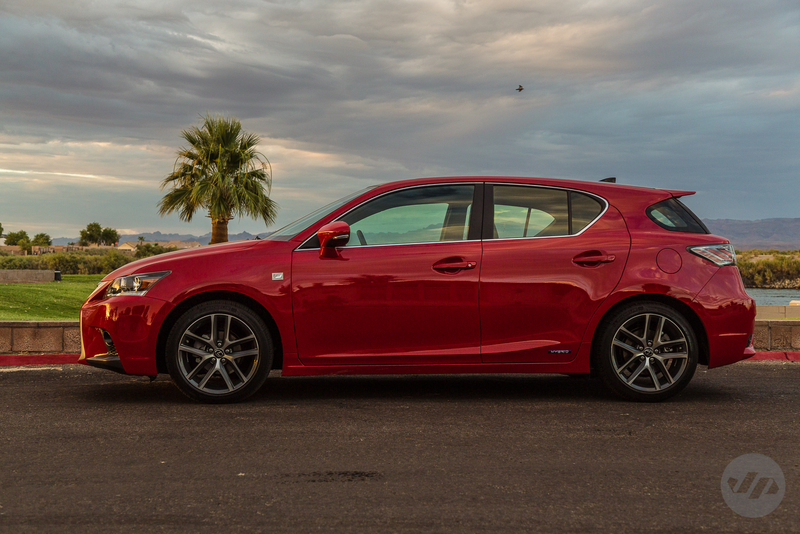 The newly refreshed Lexus CT 200h F Sport is a solid option for those looking for luxury, performance and technology in a compact hybrid. 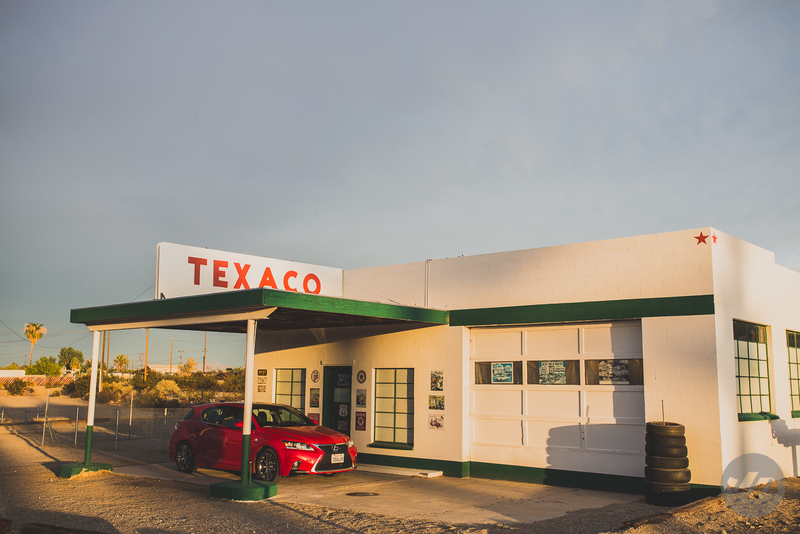 I recently spent a holiday weekend with the car on a road trip to the great outdoors and was able to test the vehicle out in real world situations of both highway and city driving. 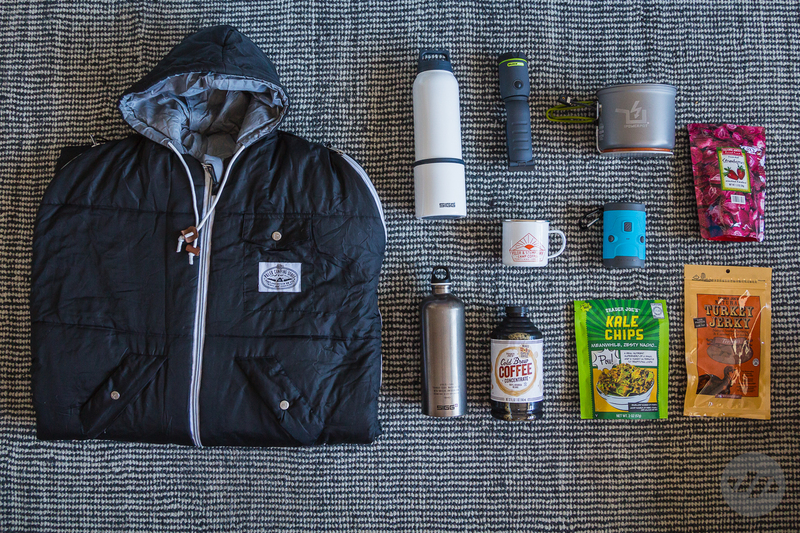 No road trip is complete without snacks and some new gear. Featured from left to right / top to bottom. Flash light – LED light complete with clamp. Easily secures itself for hands free use. Poler Goods Camp coffee mug – durable enamel perfect for the road. Easy to clean. Scosche Boom Bottle H20 – Powerful sound from a highly portable and rugged bluetooth speaker and to top it off it’s waterproof. Sigg x Apolis transit bottle – Great style and design and perfect for daily use. Holds 1L of liquid. Trader Joes – Cold Brew Coffee – just pour over ice and add water and it’s good to go. The Sigg Thermos kept things cold for many hours. Trader Joes – Kale Chips – Zesty Nacho flavor…super tasty and good for you. A healthy alternative to Doritos. Trader Joes – Turkey Jerky – I prefer the Teriyaki flavor and turkey is slightly healthier than the beef version. 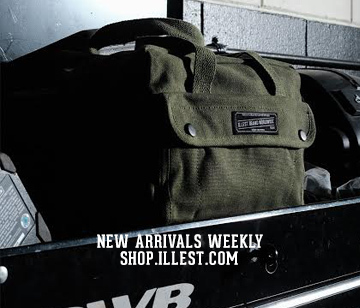 The trunk comfortably fits all this and more. 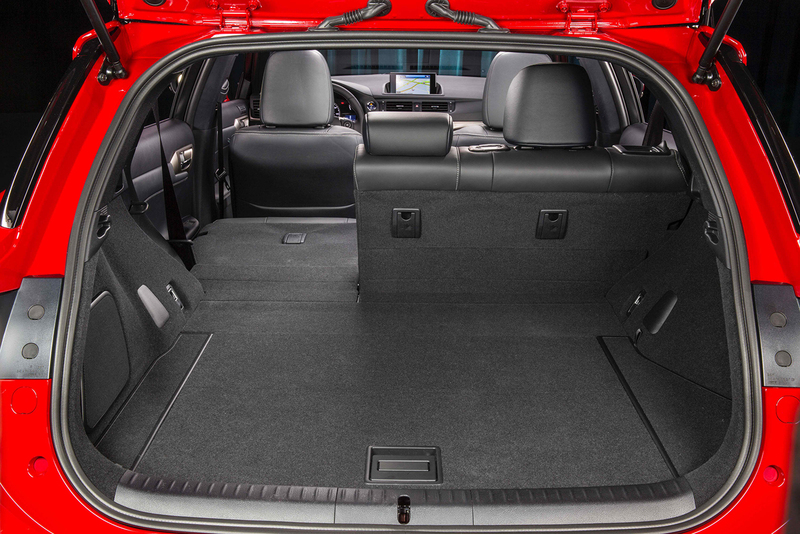 As a hatch it is spacious for the belongings for a two person road trip, however anymore people may leave something to be desired. The F SPORT exterior has been updated with the coveted Lexus spindle front grille, a sporty front bumper complemented by LED daytime running lights. The 17″ wheels could of been bumped up in size for an overall sleeker aesthetic but I did like the two-tone graphite and machine finish. 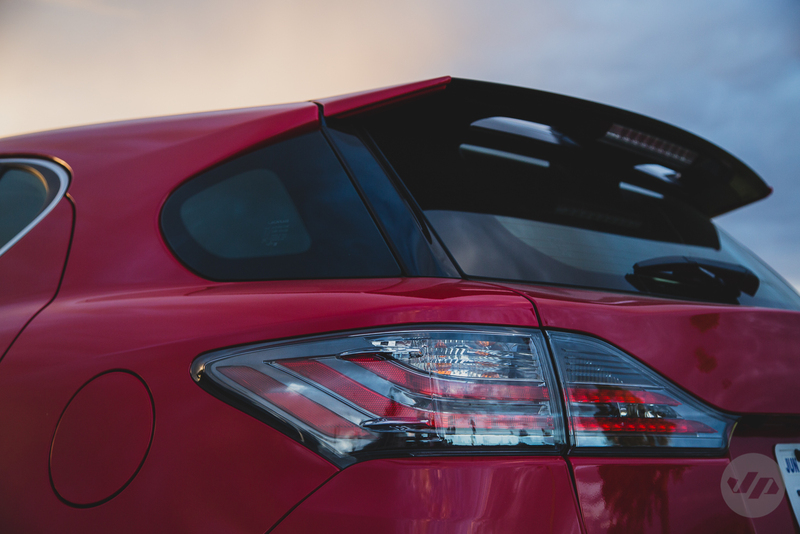 The new rear spoiler also added a nice sporty enhancement to the compact car. 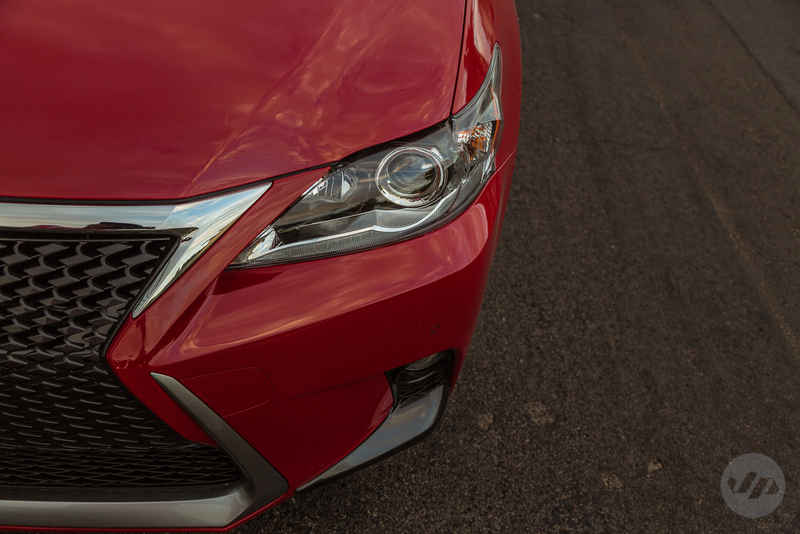 The angular body lines of the F SPORT model help give the hybrid a desired aggressive look. 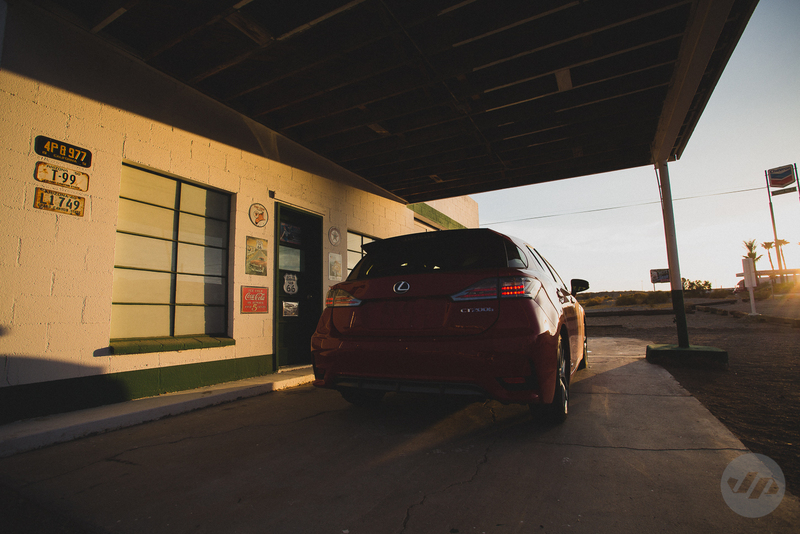 The interior features the luxury and refinement you can come to expect from Lexus. The leather is soft and supple which aids in comfort on the road. Technology is not something overlooked and with a thin Navigation screen controlling the multi-media the driver is given plenty of options for entertainment. The optional navigation system is worth the upgrade as it makes it easy to find your destinations and locations while traveling. I did find that the interface is a little slower than other vehicles with a touch screen, but the location of the screen is much better in this vehicle making the screen stand out on the dash while driving and as to not take your eyes off the road for too long. Of course features such as Bluetooth 3.0 and dual USB is included as well. The backseat is a bit tight and leaves something to be desired for taller passengers. The driver experience begins with the updated ergonomic and sporty steering wheel. With 3 driver modes available Eco, Normal and Sport, the driver is given enough options to connect with the road. I spent much of my time conserving gas in Eco mode while city driving and sitting in the holiday traffic, but once the roads opened up I enjoyed the extra horsepower and suspension adjustments that Sport mode gave especially for a hybrid. 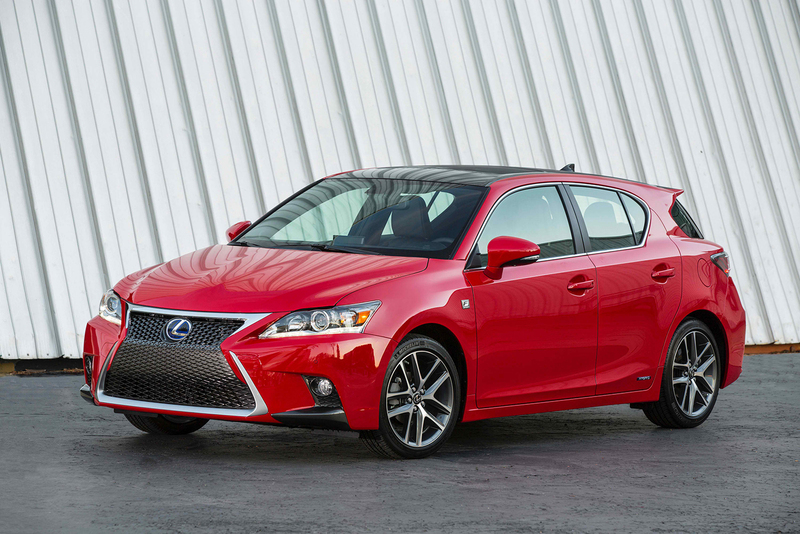 The Lexus CT 200 F Sport is a good option for those that require a touch of luxury and a bit of performance in a hybrid. 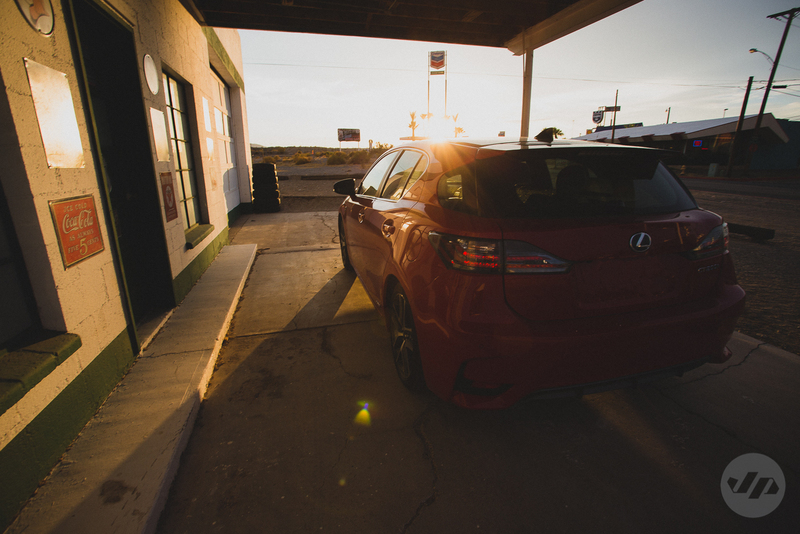 It’s a touch higher in price than a fully-loaded Prius, but you’re getting the brand recognition that goes with owning a Lexus in return. Who’s in Store: John Ando!